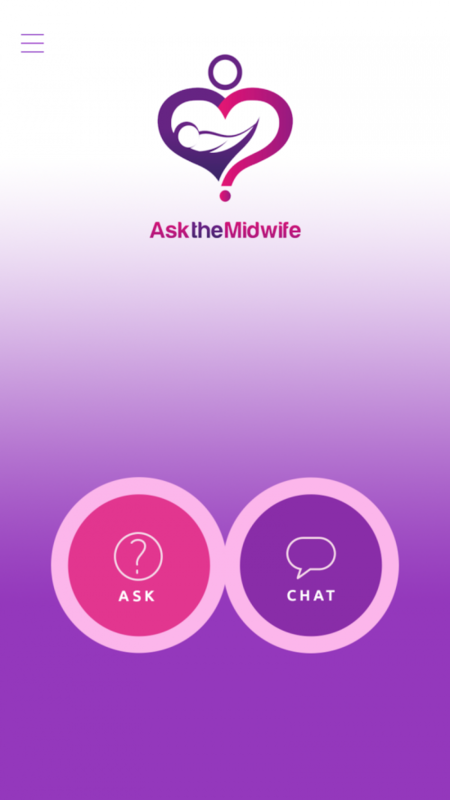 Possibly my best post-partum discovery so far: an app called Ask the Midwife. Strictly speaking it’s not a post-partum discovery, as I was told about it a month or so ago by an app developer I’ve been conversing with, but I’ve used it a few times since New Baby’s birth and it’s absolutely brilliant. The first time I opened the Ask a Midwife app was when I had terrible trapped wind a day or so after the c-section (see post here) and I desperately wanted to know which remedies would be safe. The simplicity of the app coupled with the speed of the response (it was a Sunday, I had an answer within the hour) singled this service out as a bit of a winner from the start; you just type in your question and press “Ask Question” and await an answer. I didn’t even get charged for my first question, so the whole process took around three minutes! I’ve now asked three questions and all of them were actually quite pressing. Not medical emergencies (you most definitely call your midwifery team or GP for those!) but annoyances that were making me miserable (things in the downstairs area) and a question about the baby that would have played on my mind overnight had I not had an answer. Questions are answered from 7am-9pm, seven days a week and the team aim to answer all questions within four hours, though I must say that each time for me has been within the hour. So, money well spent, I think. The app is free to download (it’s here) and then it’s just 99p per question, if that’s how you want to play things. I wish I’d started using the app during pregnancy – there were so many things that I needed answers to that I would then forget to ask at my appointments! Or minor niggles that would then go away before my midwife appointments but I’d have spent about twenty hours Googling and trawling Mumsnet for information! Far better to be able to give a qualified person your own, specific details and get an expert opinion. Big thumbs-up from me for Ask the Midwife – they also have a website here, if you don’t use apps or have a smart phone.